On June 30, 2018, Disney will officially open Toy Story Land, the newest land at Disney’s Hollywood Studios. And when Disney cuts the ribbon, the Parkeology WDW49 Challenge will open right along with it. 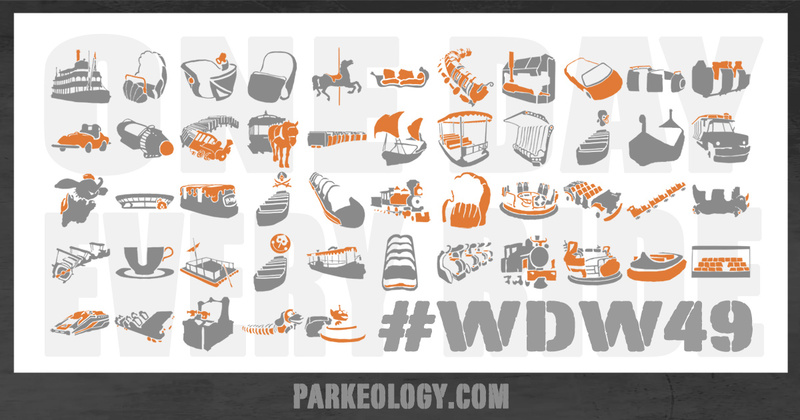 The goal of the Parkeology WDW49 Challenge is to ride every ride at Walt Disney World in a single day. Toy Story Land will have a significant impact on how challengers will structure their day. Under the WDW47 Challenge, Disney’s Hollywood Studios only has 4 rides — a mere 9% of the total rides challengers must face. 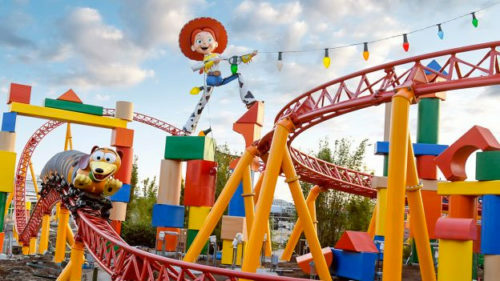 Toy Story Land will introduce 2 more rides into the equation — Slinky Dog Dash and the unfortunately-acronymed Alien Swirling Saucers. While neither ride looks to be a modern masterpiece of themed entertainment, anything in this ride-starved park is bound to get attention. Slinky Dog Dash is a family coaster. Expect it to become the longest line in the park. Lightly themed kiddy coaster with insane lines. Good grief, it’s Seven Dwarfs Mine Train all over again. 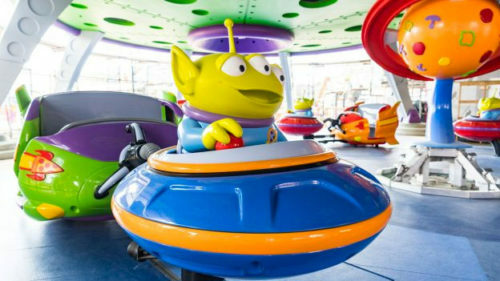 Alien Swirling Saucers uses the same ride system as Mater’s Junkyard Jamboree at Disney California Adventure. As such, it’s more Dumbo than Pirates of the Caribbean. But Hollywood Studios has never had a kiddy ride and the stroller hordes will be all over this one. Expect Alien Swirling Saucers to outkick its coverage, resulting in even more lines. Pandora – the World of Avatar changed the FastPass plans at Animal Kingdom forever. 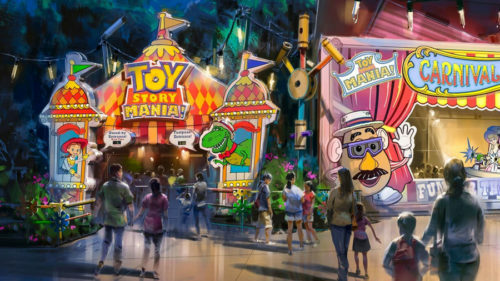 Toy Story Land is going to do the same for Hollywood Studios — at least until Star Wars Galaxy’s Edge opens. Slinky Dog Dash and Alien Swirling Saucers have joined fellow Toy Story Land veteran Toy Story Mania as Tier 1 FastPass attractions at the park. Nevertheless, Hollywood Studios continues to offer the best FastPass value for the WDW49 challenge. Every single ride remains difficult to account for, so it’s almost impossible to hold a bad FastPass for DHS. Having 3 rides in Tier 1 instead of 2 theoretically means it might be easier to pull a FastPass for something like Toy Story Mania — though this advantage is likely to be offset by increased crowds at Hollywood Studios. Furthermore, since both Toy Story Land rides are Tier 1, Rock n Roller Coaster now drops to Tier 2. This might free up some inventory normally going to Tower of Terror and Star Tours. It should also be interesting to see the effects not just on Hollywood Studios but on Walt Disney World overall. It’s hard to imagine Toy Story Land drawing a larger crowd than Pandora. But it will certainly focus more visitors on Hollywood Studios and away from other parks. Does that mean that Navi River Journey, Flight of Passage, Frozen Ever After, and Seven Dwarfs Mine Train are now easier to pull? Just as they did for Pandora last year, Disney has announced additional morning and evening Extra Magic Hours for Toy Story Land all summer. The park will operate for 15 to 17 hours. We have never seen these kinds of operating hours for Hollywood Studios in the park’s entire history. So while Disney is definitely anticipating big demand for Toy Story Land, they’re certainly giving guests ample opportunity to enjoy it. It does throw a wrench into WDW49 strategies though. Since Pandora, teams have typically started the day at Animal Kingdom. Now with Hollywood Studios opening the earliest, they might be tempted to knock out Toy Story Land instead. You have to go back to Parkeology’s very first WDW47 run to find an outdoor ride at Hollywood Studios. And the Backlot Tour was not the sort of ride to shut down in inclement weather. Alien Swirling Saucers will be under cover, but Slinky Dog Dash is out in the open. If it follows the pattern of other Disney coasters, it will operate in light rain. However, torrential downpour and lightning will shut it down in a heartbeat. The everyday thunderstorms of Central Florida are sure to cause heartburn for WDW49 Challengers this summer. 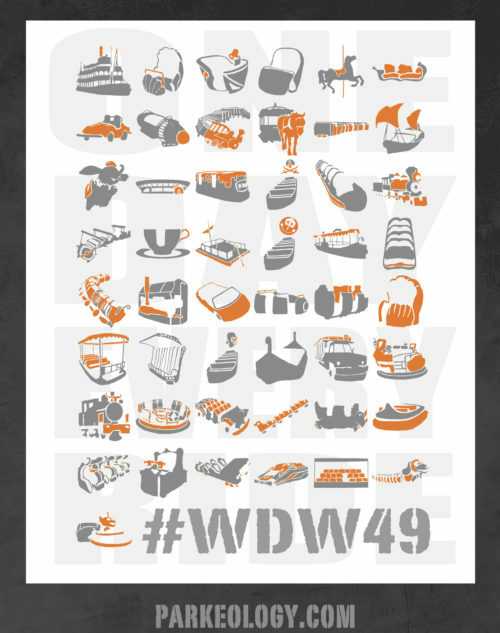 Sign Up for the WDW49 Challenge! The beauty of the WDW49 Challenge is that it is all or nothing. The rides have changed over the years, but the challenge remains equally difficult. We already have several sign-ups for challenges this summer, but there’s always room for one more. If you think you have what it takes to complete the WDW49 Challenge, sign up here. See you in Toy Story Land! This entry was posted in Theme Park Life and tagged alien swirling saucers, Disney's Hollywood Studios, Slinky Dog Dash, Toy Story Land, Toy Story Midway Mania, wdw49. Bookmark the permalink. “unfortunately-acronymed”, LOL!!! Oh man, that saucer ride looks like SUPER LOW capacity, that’s gonna be a long, hot, annoying wait just to cross it off the list. Still want my ride vehicle t-shirt? Any chance of that happening? Well, I guess that we will finally be able to explore an oddly themed cheap replacement to a place that was nice since the beginning and has no relevance to anything else to a park, what with its giant statues and clashing theming. Oh wait, I’m talking about Pixar Pier. Oops. Do not mock! Oversized tinkertoys and a dog voiced by Ernest P. Worrell are the reasons I became a Disney fan!